Today, June 30th is Special - it has 86401 seconds - the leap second extra !! A day has 24 hours – each hour has 60 minutes – each minute has 60 seconds – after 23:59:59 everyday, another day starts - but today 30th June after 23:59:59 instead of 00:00:00, the time becomes 23:59:60 – sound illogical ? – heard of a leap second ?? – and it is not new ??? 2015 is not a leap year, but it does have a leap second, set to take place Tuesday (June 30) at 7:59:60 p.m. EDT (23:59:60 GMT). Ask any person the length of a day, and she'll say 24 hours, which equates to 86,400 seconds. But the time it takes for Earth to rotate on its axis relative to the sun, called a mean solar day (or the average length of a day) is roughly 86,400.002 seconds. This happens because Earth's rotation is slowing down, thanks to a kind of braking force caused by the gravitational tug of war among Earth, the sun and the moon, researchers at NASA said. In The Age of Miracles, Karen Thompson Walker’s debut novel, the Earth apparently hasn’t received the same memo as most of its citizens: Instead of moving at a pace faster than ever, the planet’s rotation begins to slow. At first, the days grow by about 56 minutes. Eventually, each rotation takes longer than 48 hours. The novel explores scientific and environmental implications of “the slowing,” while focusing primarily on changes in society, relationships, and humanity itself. Walker describes the lengthening days in such realistic detail—professional baseball games are thwarted by gravity’s changes; agriculture must rely on artificial light—Could this actually happen? - In fact, the Earth’s rotation is slowing. But not at a rate that anyone would notice—unless one happens to be around in 150 million years. Leap year we know – it is the year containing one additional day in order to keep the calendar year synchronized with the astronomical or seasonal year. Because seasons and astronomical events do not repeat in a whole number of days, calendars that have the same number of days in each year, over time, drift with respect to the event that the year is supposed to track. By inserting (or intercalating) an additional day or month into the year, the drift can be corrected. A year that is not a leap year is called a common year. In the Gregorian calendar, each leap year lasts 366 days instead of the usual 365, by extending February to 29 days rather than the common 28 days. Since 1967, when clocks went atomic, human timekeeping has been independent of the earth’s rotation. The problem is, the planet is slowing down and clocks are not. So every few years, to get everything back in sync, scientists add a second. They’ve done it 25 times since 1972. The last time was 2012, but that was on a weekend. June 30 will be the first leap second during trading hours since markets went electronic. The "leap second" means the last minute of June will have 61 seconds in it. Leap seconds - and leap years - are added as basic ways to keep the clock in sync with the Earth and its seasons. However, there are concerns the extra second could cause problems for some computer systems because it has to be added manually. Will that cause any calculable harm as perceived in Y2K and would that send Insurers in a spot of bother ? NASA has explained that June 30, 2015 will officially be a bit longer than usual because an extra second or "leap" second will be added. Daniel MacMillan of NASA's Goddard Space Flight Center in Greenbelt said that Earth's rotation is gradually slowing down a bit, so leap seconds are a way to account for that. A day lasts 86,400 seconds. That is the case, according to the time standard that people use in their daily lives, Coordinated Universal Time (UTC). UTC is "atomic time," the duration of one second is based on extremely predictable electromagnetic transitions in atoms of cesium. These transitions are so reliable that the cesium clock is accurate to one second in 1,400,000 years. However, the mean solar day, the average length of a day, based on how long it takes Earth to rotate, is about 86,400.002 seconds long. Scientists estimate that the mean solar day hasn't been 86,400 seconds long since the year 1820 or so. "Earth's rotation is gradually slowing down a bit, so leap seconds are a way to account for that," Daniel MacMillan of NASA's Goddard Space Flight Center in Greenbelt, Maryland, said in a statement. Because of these planetary forces, a mean solar day likely hasn't lasted 86,400 seconds since about 1820, NASA scientists said. Two milliseconds might not sound like much, but it adds up to almost a second over the course of a year. However, in reality, it's much more complicated. Earth's rotation may be gradually slowing down, but individual days can also vary in unpredictable ways, the researchers said. Many factors can affect the length of a day. For instance, seasonal and daily weather changes can influence the length of a day by several milliseconds every year, as can oceanic and atmospheric tides and variations in the atmosphere, oceans, groundwater and ice storage. Even the cyclic climate phenomenon called El Niño — associated with a weakening of the tropical Pacific trade winds and a strengthening of the mid-latitude westerlies — can slow down Earth's rotation, adding a millisecond onto a day, the researchers said. Scientists record how long Earth takes to fully rotate each day by using a method called very long baseline interferometry (VLBI). Researchers developed VLBI in the 1960s to look at quasars, incredibly bright galactic centers created by matter falling onto a supermassive black hole. But researchers soon realized that because quasars barely move, the bright objects could act as reference points. Now, VLBI, which relies on radio dish signals around the world, helps scientists determine how Earth is moving relative to the quasars, according to NASA. So, today, there is going to an extra second – and what are we going to do to that or how are we going to utilise that ?? In the past, leap seconds have caused problems for computer systems, often because scientists don't know about the extra second until the last minute (figuratively speaking). For instance, the extra second can create glitches galore for stock traders, computer programmers and airline companies unless their systems are prepared for the change. The leap second added in 2012 caused problems for Reddit, LinkedIn, Gizmodo and FourSquare, Live Science reported in January. "In the short term, leap seconds are not as predictable as everyone would like," Scientists added about one leap second every year from 1972 to 1999, but leap seconds have become less frequent since then; this June's extra second is only the fourth since 2000. It's unclear why fewer leap seconds are needed nowadays, but sudden geological events, including earthquakes and volcanic eruptions, can affect Earth's rotation, at least in the short term, NASA scientists said. However, the leap second may be short-lived. There are several proposals to shelve the practice, but the decision won't be made until late 2015 at the earliest, according to NASA. 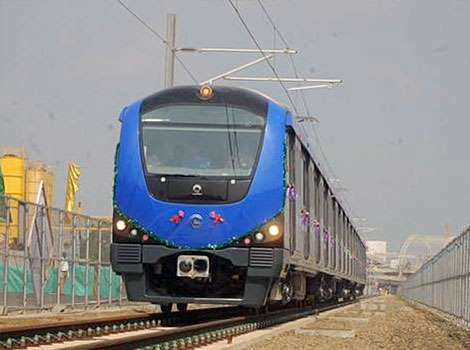 29th June 2015 – a momentous day for Chennai - we have been reading about ‘Chennai Metro’ - rapid transit system for too long and it has become a reality today.Phase I of the project, which consists of two corridors covering a length of 45.1 kilometres (28.0 mi), is under construction – that can be felt as you travel in Chennai – as you would see works in progress at many parts of the city – the already narrow roads shrinking further and some traffic snarls. Chennai has local trains running from Central to Arakonam; Central to Ponneri; Chennai Beach to Tambaram EMU line and MRTS from Beach to Velachery – the metro project is to integrate all of them together. A distance of 10 Kilometers from Koyambedu to Alandur, the first phase of the much anticipated multi-crore Metro Rail chugged off today with Chief Minister Ms.J Jayalalithaa flagging off the inaugural service from the state secretariat through live video. The route dedicated to the public is an elevated structure covering a distance of 10.15 km, consisting of Alandur, Ekkathuthangal, Ashok Nagar, Vadapalani, Arumbakkam and Koyambedu Railway stations besides the yard at the last stop, a state government release said. This route runs mainly on the busy 100 ft road and would cater to lakhs of commuters when fully completed. The first train having four coaches, left at 12.15 pm from Alandur to Koyambedu and was driven by A Preethi, a 28-year-old diploma holder in engineering from Government Dharmambal Polytechnic College here.The flower decked sprawling and swanky Alandur metro station, the biggest in Chennai, was brimming with activity, with enthusiastic passengers eager to board the first train. "I am excited, my daughter's dream of becoming a loco pilot of Metro Rail has come true," Preethi's father R Anbu told PTI. He explained how his daughter was chasing her dream of becoming a loco pilot after the metro rail project began taking shape. "She quit her first job, applied for a job in Chennai Metro rail, and she was the first woman to get selected," he said with joy. The 10 km stretch from Alandur in southern Chennai to Koyambedu which houses an inter-state bus terminus and also a vegetable wholesale market would be covered in just 19 minutes. This includes the stoppage time at six stations. By road, when traffic is smooth, the same distance can be covered in 45 minutes. During peak hours it may get doubled. There will be a metro train service every 10 minutes. Each train can carry upto to 1,276 passengers.The minimum fare on the train is Rs 10 and the maximum fare is Rs 40. While some may jump to say that fares are high – it is an airconditioned train and the stations will have to be maintained – in MRTS – the travel from Beach to Velachery costs a measly Rs.5/- [unbelievable Rs.120 for a monthly pass !] which certainly needs multiple upward revision. Newspaper reports suggest that immediately upon inauguration, DMK and Congress parties claimed credit for the scheme, claiming it to be their master plan for the city. Stalin recalled his trip to Japan as the minister for local administration to seek a loan for the project. On Jan 25, 2015, the Hindu had this photo of two women and a report – two modestly-dressed young women stand small in front of a towering silver-blue train. Normally, there would be nothing special about the scene, except these two women will soon be behind the controls of the train. They are A. Preethi and G. Jayashree — the only two women train operators for Chennai Metro Rail Limited (CMRL).Both women are in their 20s and joined CMRL in September 2013, after finishing their diploma in electronics and communication.There are driver-less Metro Rail trains in the world. Even Chennai Metro trains are equipped with automatic operating systems.“However, operators are required to monitor the movement of passengers. Also, initially they will be required to give command of the speed. But the system won’t let them go beyond 50 kmph. If they do, the trains will automatically come to a halt. We have also designed several other automatic provisions for safety,” says an official of CMRL. As part of their training, Preethi and Jayashreehad visited Delhi Metro Rail Corporation, met their counterparts there and drove trains in Delhi’s test tracks. 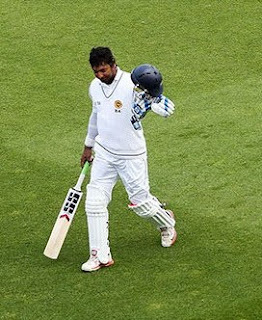 Sri Lanka needs 153 at P Sara stadium and ....... Sanga to retire !! How much do you heed to your father’s advice ? You may call it revision or tampering – in a move to give bowlers a bit of breathing room in 50-overs cricket, the ICC board has decided to do away with catching fielders in the first ten overs, get rid of the batting Powerplay, and allow five fielders outside the 30-yard circle in the last ten overs of an ODI innings. The other notable change that will take place from July 5 will see free hits awarded for all no balls in ODI and T20 internationals, not just when bowlers overstep. Paikiasothy Saravanamuttu (1892 – 1950 - also known as P. Sara) was a Ceylonese civil servant and sports administrator. The stadium at Colombo is named after him. Home to the Tamil Union Cricket and Athletic Club – this stadium hosted Sri Lanka's first Test, against England in 1982. In 1985, it was the venue for Sri Lanka's first-ever Test win, over India. Today, at P Sara stadium it rained and on day 4 Pak need to defend 153 to keep their lead. Pakistan made 138 & 329 while Sri Lanka made 315. In the first innings, the offie, Paskuwal Handi Tharindu Kaushal, who has played one test earlier took 5 wickets. Kumar Sangakkara has confirmed he will retire from international cricket after the second Test of Sri Lanka's forthcoming series against India, calling time on one of the most successful careers in modern cricket. Sangakkara will not play the third Test in the ongoing series against Pakistan, choosing instead to play for county side Surrey, before returning to Sri Lanka ahead of the first Test against India. If only he stays on, he might close more than 14000 runs; now he has 38 tons with five potential innings that remain, there remains a chance he could hit one more double-century to match Don Bradman's tally of 12. Sanga in 131 tests has made 12271 runs; 14234 runs with 25 tons in one dayers……. A grand walk-out indeed ! There is news that BCCI is unlikely to appoint a full-time head coach till the 2016 World Twenty20 in India, though the team director Ravi Shastri and three other members of the coaching staff are all set to receive a two-year contract extension. Shastri and the three assistant coaches - Sanjay Bangar (batting), B Arun (bowling) and R Sridhar (fielding) - had already been assured of renewal of their contracts, but the tenure was not agreed upon. Cricinfo quoting BCCI insider states that the board was satisfied with the current arrangement, as all three assistant coaches have gelled well, despite the poor performance at Bangladesh. Back home in Bengaluru, Indian women beat Kiwi women in an One dayer. India Women 142 (Goswami 57, Nielsen 3-24, Tahuhu 3-25, Kasperek 3-39) beat New Zealand Women 125 (Bates 28, Rana 3-26, Harmanpreet 2-16, Bisht 2-18) by 17 runs. Have you ever experienced this ….. you respond to some e-mail communication, commenting on the ignorance or the mistake of the sender [who is an important person occupying a higher rank] – wish to share that privately with the person who is closest to you – press the send button, only to realise that you have clicked ‘reply all’ – a recipe for disaster or unpleasantness, the least ! In Microsoft Outlook, there is this feature of stopping delivery of a mail wrongly sent and optionally replace with another message – the catch is – only when sent to another Microsoft Exchange Server user within your organization. Message recall is available after you click Send and then realize that you forgot to attach a file, include information in the message, or want to revise what was originally sent. One cannot however recall messages sent to email addresses outside your organization ~and you wished that Gmail too had such a facility !! That stands answered ~ Gmail has added 'Undo Send' tool to stop embarrassing emails getting to the wrong people. Google has made its 'Undo Send' tool an official and permanent feature nearly six years since it launched as an experiment in Gmail Labs. To enable the feature, get into your Gmail settings and in that long list tick the 'Enable Undo Send' box and set the cancellation period which however cannot be more than 30 seconds. In fact, there are 3 options of 10,20, 30 seconds – thus effectively delays the sending by half-a-minute, giving the option to change the mind and the content ! Google Inbox is an email service available for desktops - on Chrome, Firefox and Safari - as well as an iOS and Android app. When a user first logs in using, Google scans the account to present important emails first. It groups similar emails into 'Bundles' based on subject and turns addresses into map links. Other features include the option to undo sending messages, snoozing emails to be dealt with at a later time, and pinning messages to the top of the inbox. To use the feature on the desktop, compose an email in the traditional way and hit send. A pop-up message will appear at the top of the inbox that says: 'Your message has been sent. Undo.' Clicking Undo stops the message being sent and reopens it in a compose window so users can delete it, change the recipient or amend what has been written. The announcement was made in a official blog post: 'Previously a popular feature in Gmail Labs, and recently added to Inbox by Gmail, today we’re adding 'Undo Send' as a formal setting in Gmail on the web. Not sure whether the recipient will receive any message when you hit ‘undo’ button ! In another move, Google has removed emoji images from its search results on mobile and desktop. Originally meaning pictograph, the word emoji literally means "picture" (e) + "character" (moji). Some emoji are very specific to Japanese culture, such as a bowing businessman, a face wearing a face mask, a white flower used to denote "brilliant homework," or a group of emoji representing popular foods. At a time when it seems every website and app is adding support for emoji, Google is bucking the trend. The tech giant has removed them from its search results and they will no longer appear when people search for pages that feature the ubiquitous images. Support for emoji is said to have been pulled after websites were using the pictographs to push their pages to the top of results. Google has removed support for emoji on its search pages. Google’s webmaster trends analyst John Mueller made the announcement during a Google+ Hangout in May. He explained that Google stopped supporting unicode symbols in 2003 and planned to do the same with emoji. Sites using emoji won't be penalised for using the images, instead the icons simply won't show up when the searches are made. In April Instagram updated its app to let users search for emoji hashtags. These changes in particular let people post, explore other people's photos and interact with captions using just emoji. The most popular emoji on the site is the crying with laughter face, followed by the face with love hearts for eyes and blowing a kiss emoji. Elsewhere, Microsoft announced last month it would be adding emoji symbols to its Windows 10 software when it launches later this year. But instead of using the standard emoji characters seen across Facebook, Twitter and apps, it will introduce its own range. On the longest day of the year — the summer solstice, June 21 — International Yoga Day celebrations swept nearly 200 countries - people gathered in large numbers to practice the ancient physical and spiritual discipline, everywhere across the globe. Away in Bangladesh, India saw lurking danger of Banglawash struggling to cope up with rookie left arm pacer - Mustafizur Rahman. However, in the last match, they did well to make 317 and beat Bangla by a handsome margin. Former England captain Geoffrey Boycott believes Bangladesh's impressive series win over India is not enough "to send waves through the cricket world" since it has come in home conditions. Boycott reckons Bangladesh, who had never beaten India in a series earlier and currently won 2-1, need to win matches abroad, especially Tests against teams like Australia, South Africa, New Zealand and England. Back home, there is one area plagued by farmer suicides – Vidarbha. It has been continuing - indicating serious distress and despair prevailing in 5 million agrarian community which is facing economic crisis since 2005 and last yearskharif and ruby crop damages due server climate change and market recession. Vidarbha is the eastern region of the state of Maharashtra, comprising Nagpur and Amravati, Akola, Chandrapur…. Its former name isBerar. Situated in central India, Vidarbha has its own rich cultural and historical background distinct from rest of Maharashtra. Nagpur region is famous for growing oranges and cotton. Vidarbha unfortunately has been plagued by poverty. In recent times, there have been calls for a separate state of Vidarbha, due to perceived neglect from the Government of Maharashtra. Farmer suicides have attracted negative attention to this region. After an anxious wait for the rains, cotton growers are back in their fields and have started sowing operations for the cash crop. According to government officials, cotton growers are the first to set out for work in this season as it is a long duration crop and now they have water at their disposal. Since cotton is a cash crop and major produce in the black soil in the region, the growers start sowing anticipating rains in early June and this year too, a large number of farmers commenced sowing operation well in time and fortunately rains also arrived, it is stated. It is also stated that the crop loan to farmers was behind schedule. At a time when India faces awkward situation of a Banglawash, India opener KL Rahul, who missed the one-off Test in Bangladesh with dengue fever, says competition for the opener's spot with ShikharDhawan is a healthy sign for Indian cricket. Rahul's forced absence in Fatullah allowed Dhawan, the man he replaced as opener in the Sydney Test, to return to the top of the order. Dhawan made the most of the opportunity, scoring his third Test century. With M Vijay firmly entrenched, Rahul recognises it could well be a toss-up again between him and Dhawan for the second opener's slot when India play their next Test match. Back home, in India domestic season, WasimJaffer, the highest individual run-getter in the Ranji Trophy, has switched to Vidarbha from his home team Mumbai. Jaffer, would thus join S Badrinath and Karnataka's Ganesh Satish to complete a solid line-up of Vidarbha's professionals. After an illustrious 19-year stint in first-class cricket with Mumbai, Jaffer is 241 runs short of becoming the first batsman to score 10,000 runs in the Ranji Trophy. Paras Mhambrey, the former Mumbai and India pacer is the coach. Tamilnadu’sSubramaniamBadrinath is the skipper. Since a domestic team can sign a maximum of just three players on its roster, Vidarbha decided to release Dhurv, the left-arm spinner, once Jaffer agreed to come on board. Jaffer played for India long back – and struggled for Mumbai last season with injuries. At Kingston, a Sinhalese sounding name – Rajendra Chandrika made a forgettable debut against Australia registering a pair; he is not alone as he joins 39 others to start his Test career in such fashion. Chandrika, called up to replace an indisposed Marlon Samuels for the second Test, lasted a total of nine balls and 16 minutes in the match, falling to Mitchell Starc in both innings. In both, he was out to poor shots. Coach Phil Simmons had words of encouragement for the opener Chandrika who also bowls off spin. On the longest day of the year — the summer solstice, June 21 — International Yoga Day celebrations swept nearly 200 countries, as those in the Northern Hemisphere greeted the first day of summer.The day also represented a spirit of peace and good will, our Prime Minster NarendraModi said to a crowd of more than 35,000, before taking to his mat and joining what's been billed as the largest yoga demonstration in history.Modiji also mentioned the health benefits of the ancient Indian practice. Studies have shown it eases conditions such as chronic pain and high blood pressure. 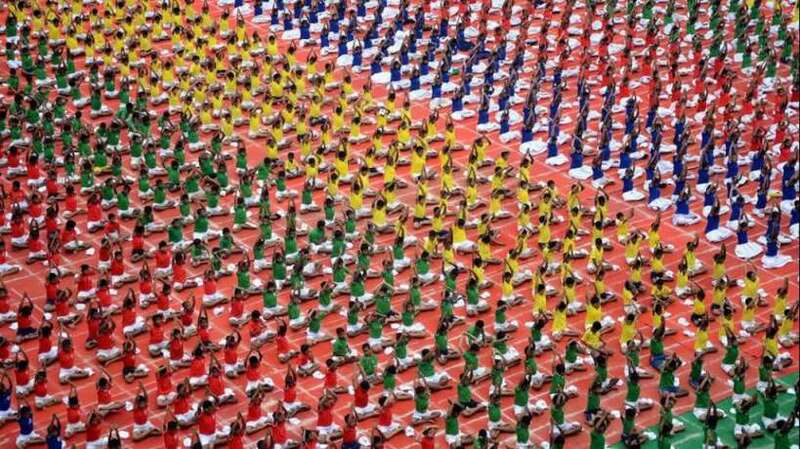 “Practicing yoga helps combat stress and chronic conditions.” Modi said. Yogis flowed in Times Square, meditated under the Eiffel Tower, Madrid's Colon Square - to locations in Afghanistan, South Korea, China and Kazakhstan. 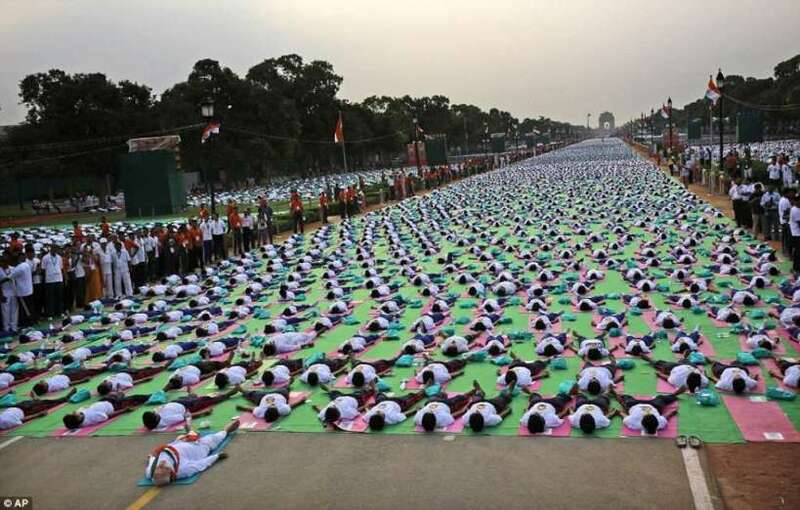 But no gathering was larger than the one in India’s capital New Delhi — a massive affair led by none other than Prime Minister, whose brainchild International Yoga Day was. With 35,985 participants, the New Delhi event has been declared the largest yoga demonstration at a single venue, beating out the previous record of just under 30,000 set by Indian school students in 2005. Near lies Kotla ground, different ~ mostly no music to bowlers – reportedly smaller where batsmen make merry. India has exhibited its weakness to left-arm pace. England's John Lever had a memorable debut at the Kotla in 1976, when he notched up a half-century and had match figures of 10 for 70. That Series was marred by the ‘vaseline incident’ of John Lever. At Chepauk, in the 3rd Test too, Lever was fiery. The England attack of Willis, Lever, Old, Greig and Underwood bundled out Indians for 83 chasing 284. Now in Bangladesh, stung by their first-ever series defeat against Bangladesh, undefireIndia is looking to salvage some pride and prevent the hosts from registering a rare clean sweep. At the centre is another tall left arm bowler - Mustafizur Rahman, who has taken 11 wickets in just 2 matches. At the time of posting this, Bangladesh are 210/7 chasing 318. Fifties from Shikhar Dhawan and MS Dhoni set India up for their best batting performance of the ODI series; Dhawan stroked a 73-ball 75 and Dhoni, batting at No. 4 for the second match running, made a 77-ball 69 that saw India through the middle overs. Together, they laid the platform for the lower middle order, led by Suresh Raina, to smash 50 off the last five overs. Captain cool is a cliché often used to describe MS Dhoni. MSD had tasted success in all formats of the game. The transformation of MSD, from a long-haired pinch-hitter to a suave captain was as dramatic as his exit recently from Tests. 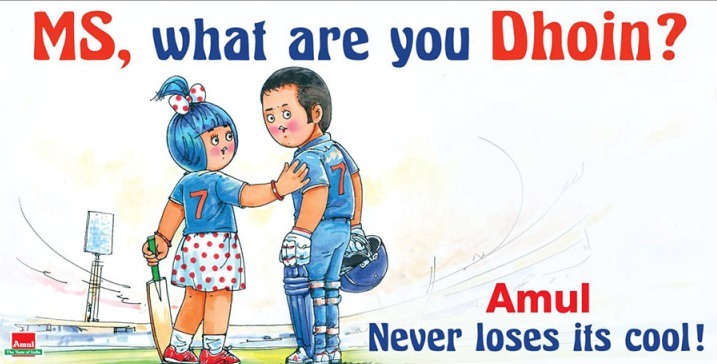 Now there is criticism that Dhoni has lost his cool in this Series – here is an interesting AmulAd ! RavichandranAshwin who answered the press conference, mounted a strong defence of MS Dhoni's leadership saying he would "die on the field" if his captain asked him to. Dhoniearlier brushed aside the criticism of his captaincy but sarcastically quipped that if he was the source of everything that was wrong with Indian cricket, he would gladly step aside.Ashwin added that challenge starts for Mustafizur from here. Before Mustafizur Rahman, there was AjanthaMendis. Much like Mendis did in his debut Test series in 2008, but subsequently found tough to live up to that reputation. India's plans for tackling Mustafizur have been widely sought after, and when the inevitable question popped up, Ashwin said: "If there isn't a counter as such, I mean what can we do? Can we kidnap him? No, we have to come out there and play some good and solid cricket and try and make sure we nullify him. He does bowl a good cutter, which is something we have to watch out for. In this Series, apart from Bangladesh romping home a 79-run win over India in the first ODI at Dhaka , the talking point has been the Dhoni-Rahman incident that took place in the 25th over of India's run chase.Off the second ball of the 25th over, Dhoni drove a Rahman delivery to mid-off and set off for a quick single but mid-way through the run, he barged into the bowler who seemed to feel the force and had to leave the field injured. Later Dhoniwas fined 75 percent of his match fees and Rahman 50 percent of his match fees.While Dhoni has been criticised for deliberately shoving Rahman, it must be noted that it was clearly accidental and the incident has judged far too hardly by some. Times of India report tried to give it a different tinge stating that given Dhoni's stature in international cricket, it was a very unsporting act, something the Indian captain has never been accused of in his illustrious career. But, replays clearly showed that Dhoni played it soft and with mid off fielder inside the circle, he had to take off quickly. Streaming in at a good pace, there was Rahman in the middle who could see Dhoni charging – still ambled across without ever trying to get out of the way. He was not even preparing to collect the ball – but stood on the way – and there was a possible run out – Dhoni ran straight, barged into Rahman and nearly knocked him off his feet. After the collision, Dhoni seemingly said sorry to the bowler, though he was unhappy with the bowler coming his way, went to check whether Rahman was okay. Earlier in 5th over the same bowler had blocked Rohit Sharma too. BishanBedi once asked the Indian team to jump into Ocean and now says that MSD is no longer Captain Cool and yoga sessions can help him overcome the tough phase !Bedi feels Dhoni is certainly ruffled by the recent losses.“Ye pehlidafahaikiwohbehkibehkibaateinkarrahahai (It’s the first time he is not making sense). And that is a clear indication that he is not ‘Captain Cool’ anymore. He looks ruffled. Having said that I still don’t blame any individual but the team,” Bedi said in an interview.“There is no shame in defeat but there has to be some concern in defeat. The killer instinct, which is part of a professional sportsperson’s character, was missing from Team India. Bangladesh were more committed in batting, bowling and fielding front.Bedi, 68, also questioned the think-tank’s decision to drop Ajinkya Rahane in the second game. Man to man India were a better side on paper, but games are played on the ground. Bangladesh has played better Cricket – India should avoid the washout – then there will always chances to undo all the damage. Off the field, it was Bangladesh who displayed their poor spirit …. In a shocking revelation, Indian cricket's superfan Sudhir Gautam has claimed that the Bangladeshi fans wanted to kill him to avenge their team's quarter-final loss against India in the ICC World Cup 2015. Gautam as all fans know, is seen at all India's matches with his body painted in tri-colour. He is always spotted in the stands waving the Indian flag with number 10 on his body (Tendulkar's ODI jersey number). He had even travelled to Australia and New Zealand for World Cup 2015. Sudhir was manhandled by the Bangladeshi fans post India's humiliating series defeat against Bangladesh after the second ODI. Andy Murray and his support staff ready for Wimbledon ~ UK waits !! Come June and 1st week of July – we will be reading all about Wimbledon, the oldest tennis tournament in the world, and widely considered the most prestigious. It is held at the All England Club in Wimbledon, London since 1877. It is one of the four Grand Slam tennis tournaments (Majors), the others being the Australian Open, the French Open (Roland Garros) and the US Open – the only major played on ‘grass’ – the original surface, giving the game the name "lawn tennis".The tournament takes place over two weeks in late June and early July, culminating with the Ladies' and Gentlemen's Singles Final, scheduled for the second Saturday and Sunday respectively. Wimbledon traditions include a strict dress code for competitors, the eating of strawberries and cream by the spectators, and Royal patronage. The tournament is also notable for the absence of sponsor advertising around the courts. In 2009, Wimbledon's Centre Court was fitted with aretractable roof to lessen the loss of playing time due to rain. Britain, as usual will be looking forward to one man – Andy Murray who had reasons to celebrate at Queen’s making people believe, he is better placed to win the title again, than he was when he beat Novak Djokovic in the final two years ago.“You just have to improve, otherwise I wouldn’t still be in the same position,” he said after beating Kevin Anderson 6-3, 6-4 in the final of the Aegon Championships – two hours after completing a 6-3, 7-6 victory over Viktor Troicki on the same Centre Court in their interrupted semi-final. That win over Kevin Anderson gave him the Queen’s title for fourth time. 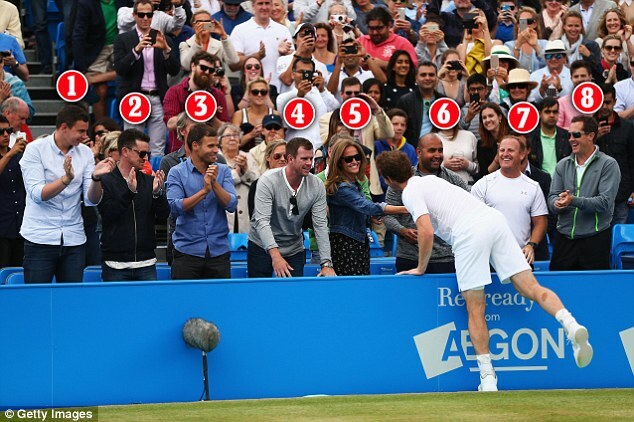 Murray joins four other four-time Queen’s winners in John McEnroe, Boris Becker, Lleyton Hewitt and Andy Roddick. He perhaps is in great nick, he went on to win Wimbledon after winning Queens in 2013 – but in Sports, there is no guarantee of any repeat performance. He reportedly has been preparing hard on grass, gaining lot of confidence – but there is long way to go, as lot of things can happen during the various rounds. Murray paid tribute to his coach of one year, AmélieMauresmo, augmented lately by the input of Jonas Bjorkman, for the adjustments to his game that have allowed him to play his best tennis in two years, on grass and clay.She is due to arrive in London shortly, having left Bjorkman to oversee Murray’s training at Queen’s, and she is expecting her first child in August. Last year at Wimbledon, GrigorDimitrov broke British hearts by ending Andy Murray's reign as Wimbledon champion with a sublime and serene 6-1 7-6(4) 6-2 victory in the quarter-finals. The third seed had confidently marched into the last eight without dropping a set, but his meek abdication left the Centre Court crowd, which included Prince William and his wife the Duchess of Cambridge, stunned into silence. 1 - Josh Murray (employee at 77, Andy’s management company): The London-based company set up in September 2013 following Murray's triumph at Wimbledon. The name of the company was inspired by the 77-year wait for a British men's singles triumph at the SW19 event that Murray ended that year. 3 - Matt Gentry (manager): Murray's long-standing agent, Gentry is also managing director of 77 management. 4- Leon Smith (GB Davis Cup captain): A close friend of Murray, Smith has turned around the fortunes of the British Davis Cup since his appointment five years ago. He coached Andy as a teenager, and while never having played professionally, learned his coaching trade at the knee of Murray's mother Judy. 6 - Shane Annun (Physio): Has been working with Murray's team part time since October of last year. 7 - Matt Little (trainer): An old friend of Murray, Little also works as the as the Lawn Tennis Association's strength and conditioning coach. 8 - Jonas Bjorkman (coach): Former world No 4 Jonas Bjorkman was Murray's sole coach at Queen's with pregnent Amelie Mauresmo set to re-join the team for Wimbledon. The Swede is a former world No 1 in doubles, winning nine grand slam doubles titles. Grand team work indeed !! In Dec 2011, the legendary Ivan Lendl was appointed coach to Andy Murray. Lendl is credited with improving Murray's maturity and consistency, guiding the Scot to his first two Grand Slam victories in the 2012 US Open, and 2013 Wimbledon Championships, thereby ending the 77-year-old wait for a male British tennis player to win a Grand Slam Major. However, in Mar 2014, it was announced that Lendl and Murray would be ending their 2 year coaching partnership. But is that 77 year right ?- all news sites mentioned of Andy Murray becoming the first British champion of Wimbledon since 1936. Not right fully as in 1977, Virginia Wade on the Ladies Championship. Frederick John "Fred" Perry, won 10 Majors including eight Grand Slams and two Pro Slams single titles, as well as six Major doubles titles. Perry won three consecutive Wimbledon Championships from 1934 to 1936. Prior to Andy Murray in 2013, Perry was the last British player to win the men's Wimbledon championship, in 1936 but in Women, the latest is Virginia Wade in 1977. Heard of - Papiliopolymnestor ?- ‘Thikkutheiryathakattilunnaithedialainthen’ is one of the many songs of the great Tamil Poet SubrahmanyaBharathiyar. ‘ThikkuTheriyathakattil’ (in a forest lost in directions) was also the name of a hit movie released in 1972 starring Muthuraman and Lakshmi … a song ‘poopoovaparanthupogumpattupoochiakka’ – a child asking the butterfuly as to who gave it such a beautiful shirt ! – was a grand hit of yesteryears. These winged wonders are beautiful to look at. The monarch butterfly migrates long distances and reportedly goes ‘winter getaway’ to the warm mountain forests of Mexico. Today, conservationists and eco-enthusiasts are fixated more on the plight — not the flight — of the butterflies. Studies by the World Wildlife Fund and other conservation groups show that monarch populations in Mexico have plummeted. The blue Mormon (Papiliopolymnestor) is a large swallowtail butterfly found in South India and Sri Lanka. Butterflies are part of the class of insects in the order Lepidoptera. Adult butterflies have large, often brightly coloured wings, and conspicuous, fluttering flight. Butterflies in their adult stage can live from a week to nearly a year depending on the species. Culturally, butterflies are a popular motif in the visual and literary arts. 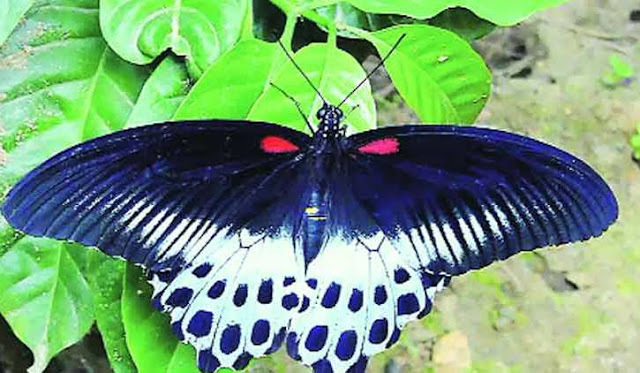 The news is - Blue Mormon, the second largest butterfly found in India, is now the ‘State Butterlfy’ of the State of Maharashtra. Maharashtra has become the first state in country to have a ‘state butterfly’. It has accorded the status to Blue Mormon. The decision was taken Monday at a meeting of the Maharashtra State Wildlife Board.Chief Minister DevendraFadnavis chaired the meeting that was also attended by Forest Minister SudhirMungantiwar and Minister of State for Forest Ram Shinde. The colourful butterflies add to the beauty of every garden. In our story books, we often come across the mention of butterflies. But it never got the same status as state’s special flower or fruits get,” said a senior Minister. Maharashtra is home to 225 varieties of butterflies and accounts for 15 per cent of the country’s estimated butterfly population. Butterfly academicians, research scholars and nature lovers had requested Mungantiwar to consider Blue Mormon for the status. Easily identifiable, the Blue Mormon boasts exquisite velvet-like black wings with bright blue spots, and now is a State symbol. The status affords it some added importance and might offer some more protection. There are National animals / birds too - interestingly, some Nations have extinct or never-existed-in-the-first-place as their national animals ! See this photo and guess the reason for the traffic jam. This is an article circulated to my friends on 1st June 2007… recirculated in 2o11 ! Do we require a Police Cop and Law for the wellbeing of Self ! Way back in 2007 [and on earlier occasions too ….] Govt. of Tamilnadu promulgated compulsory wearing of helmets by both drivers and pillion riders – there is also penal provision u/s 177 of MV Act for the violation. Helmet is a form of protective gear to be worn on head to protect the head injuries. From time immemorial, soldiers had used helmets made of leather, bronze and others to protect from swords, arrows and other sharp arms. It is in use in many sports including racing, football, ice hockey, climbing and of course – Cricket. In olden days, batsmen were not using helmets.Many have had grievous hurts by bouncers hurled at great speed. SandipPatil during the tour to Australia in 1980-81 had his ear torn by a Lenny Pascoe bouncer. Mohinder lost some teeth inCaribbean land. KrishSrikkanth had his arm fractured by a Bishop’s vicious raiser. The BishanBedi’s team after that famous Port of Spain victory in 1976 when they chased 406 were brutally laid to submission by a barrage of bouncers hurtling the body at Sabina park, Jamaica in 1976 when Roberts, Holding and Wayne Daniel pitched everything short and more than half of the side had to be rushed to hospital nursing injuries. MadanLal was once ridiculed for backing and termed Madam lal. ….and Phil Hughes passed away struck on back head, though he was hearing helmet. The comparison to the cricketing arena should stop here. The helmet rule has been on and off; enforcement has always been lax. Back in 2002, the Govt. was keen to enforce it strictly. The usual hue and cry is that helmet is uncomfortable in hot weather, they have to be carried in person in the fear of being stolen away, difficult to share, it sweats, hear fall and more…… some also complain that it restrains the vision and affects hearing whilst driving. BUT think of it – does any one complain of vision and hearing being affected when they use a mobile whilst driving ? In May 2007, there was a decree by Madras High Court on statutory requirement of helmet for riders of two wheelers which forced to G.O. by the State Govt.Carrying a helmet could cause inconvenience but helmet wearing it to be followed not because it is regulation – people need to care for themselves and save their head..
Tamil Nadu Government recently announced that wearing of helmet by motorists will be compulsory from July 1, 2015, with violators facing the risk of their vehicle documents being impounded.“This is to inform the public that wearing of helmet by two-wheeler driver and rider is compulsory from 01.07.2015, failing which, all the documents of the two-wheeler including the driving licence of the driver shall be impounded under section 206 of the Motor Vehicles Act, 1988,” a Government release said.The impounded documents would be released only on production of new ISI certified helmet with purchase receipt, it added. On June 8, the Madras High Court observed that it was disheartening to note that a number of precious lives were lost due to non-wearing of protective headgear and made wearing of helmets compulsory.Justice N Kirubakaran passed the order after taking note of statistics provided by the Home Secretary that 6,419 people lost their lives in Tamil Nadu in 2014 alone as they failed to wear helmets while riding two-wheelers. 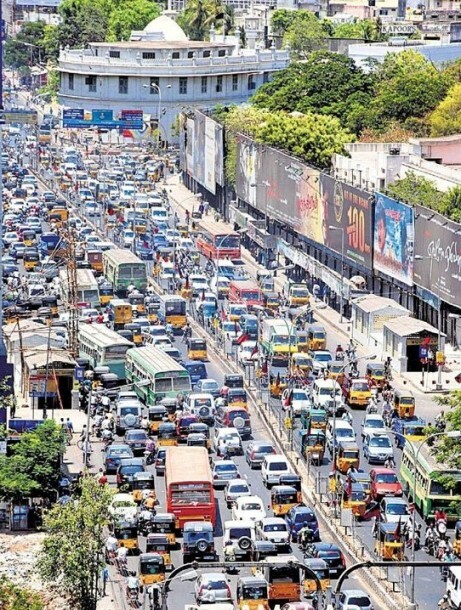 Traffic jam is nothing new…….. but this was the scene at the arterial Mount road on 2007 when vehicles were stranded for nearly 3 hours, brought out by surging crowds lining up to buy helmets !!!! there was a heavy rush in helmet retail stores and some stores were open till midnight to accommodate the rush. stowaway travels from South Africa to London Heathrow - 8000 miles !! A stowaway is a person who secretly boards a vehicle, such as an aircraft, bus, ship, cargo truck or train, to travel without paying and without being detected. Cricketer Kevin Pietersen ran into fresh controversy and had to apologise after joking about a stowaway who died after falling from a flight from South Africa to London and another who was seriously injured.The former England batsman, who was born in South Africa, posted on Twitter: "Captain and opening bowler in England's WC cricket team in 2019 right there. "The message was accompanied with an emoji of a face crying with laughter. Smuggling is the illegal transportation of objects (and sometimes people too !) across varied places especially borders of a State (Country). There are variousmotives, almost all illegal and banned in civil society. Stowaway is different – thisrefers to a person who secretly boards a vehicle, such as an aircraft, bus, ship, cargotruck or train, to travel without paying and without being detected. According toIMO, the Convention on Facilitation of International Maritime Traffic, 1965, asamended, define stowaway as "A person who is secreted on a ship, or in cargowhich is subsequently loaded on the ship, without the consent of the shipowner orthe Master or any other responsible person and who is detected on board the shipafter it has departed from a port, or in the cargo while unloading it in the port ofarrival, and is reported as a stowaway by the master to the appropriate authorities". How long and where they would hide gets redefined from time to time perhaps as this news of stowaway falling to death from jet nearer Heathrow after 11 hour long journey from South Africa – and yet another one survived !! MailOnline and other news agencies report that a suspected stowaway was found dead on the roof of a London office block after plunging from a jumbo jet as it approached Heathrow Airport.The man's body was discovered on top of the offices of NotOnTheHighStreet.com, which is on a busy road in the south-west of the capital, yesterday morning. Amazingly, another stowaway survived the 8,000-mile flight from South Africa before being taken to hospital, where he is now fighting for his life. It is believed the two men sneaked on to flight BA0054 before it set off from Johannesburg airport on Wednesday evening.The man who died is then thought to have hidden in the wheel recess during the airliner's 11-hour five-minute overnight flight to London.It is understood he fell out as the undercarriage came down on the plane's approach to Heathrow. It is not known whether he died during the flight or from the fall.The other man - believed to be 24 - survived and was rushed to hospital when the plane landed. He is said to be in a 'critical' condition. An expert in Aviation suggested that the man who survived may have got into the plane's baggage or freight holds. He said he could not imagine anybody surviving 11 hours at 35,000 feet and at less than -50C. According to him, 'If someone is to survive as a stowaway then they have to get into an area of the plane that is pressurised and heated.' He further pointed out that the discovery of the stowaways also raises questions for airport security. A study made in 2012 found at least 76 per cent of so-called 'wheel-well stowaways' die during their attempt.Those that do survive tend to be on short-haul flights which stay at relatively low altitudes.In one of the longest-distance known survivals, a stowaway got though a 4,000-mile journey from Hawaii to Los Angeles in 2000, but suffered severe hypothermia.Experts say that if stowaways avoid being crushed when wheels are released, they fall unconscious at around 22,000ft as the oxygen level drops.They will remain unconscious when the doors of the wheels reopen at around 3,000ft during the plane's descent in to land, meaning they are unable to stop themselves falling. Many of those who die attempting wheel-well stowaways freeze to death during the flight before dropping to the ground.The plane would have been at an altitude of around 1,400ft when it passed over Richmond, flight data reveals.Police say they are treating claims the man was a stowaway on the flight from Johannesburg as 'one line of inquiry'. In September 2012, Mozambique immigrant Jose Matada, fell to the ground in a suburban street in Mortlake, not far from Richmond, in an apparently similar incident.Mr Matada died on his 26th birthday, with a single pound coin in his pocket, as well as currency from Botswana and Angola.It is believed he would have fallen unconscious due to low oxygen levels and temperatures of -60C in the wheel recess of the BA76 Boeing 777 from Luanda, the Angolan capital.Despite wearing only light clothes, a pathologist found he had survived most of the journey, but died before he fell to the ground. Strange are the ways of people ! England's new jumper ~ draws criticism across !! Toblerone burglars sentenced to jail !! Kiwi hatching season closed !!! the Hermes Birkin bag that costs a fortune !!! !